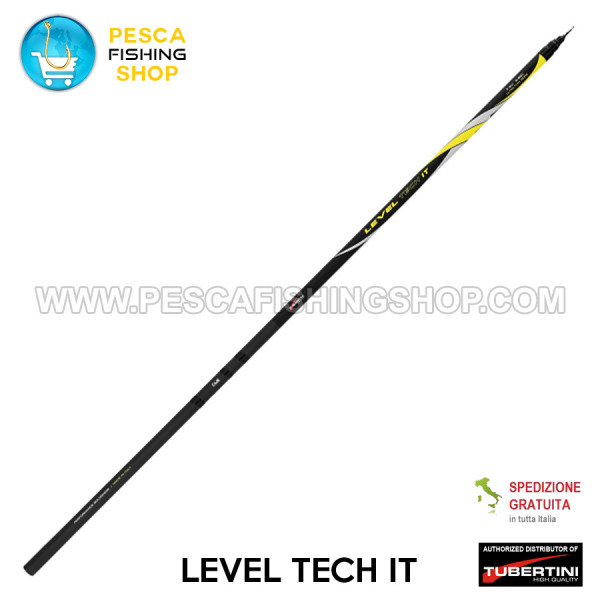 Level Tech IT is a beautiful bolognese fishing rod produced in Italy. Available both without rings, and mounted with Fuji rings, and Alps reel seat. Tubertini has built the Level Tech IT rods on the same printing machine as the Level 8300. Unlike the latter, however, it expresses greater power and reliability while retaining excellent lightness. Order this wonderful Bolognese on PescaFishingShop.com and we will send it to your home in the timings shown on this page, and well packaged. code lenght weight without / with rings sections closed c.w.